Height: 3 to 10 ft. Tall coneflower has a deeply lobed leaf, while leafcup has a maple-like leaf. Tall coneflower has a higher, more spherical eye. Rosinweed leaves occur in whorls of three. 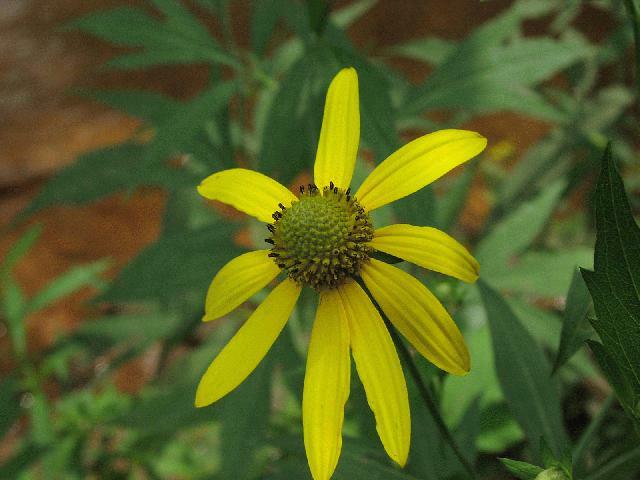 The coneflower has a lobed leaf, while woodland sunflower has a lanceolate leaf.